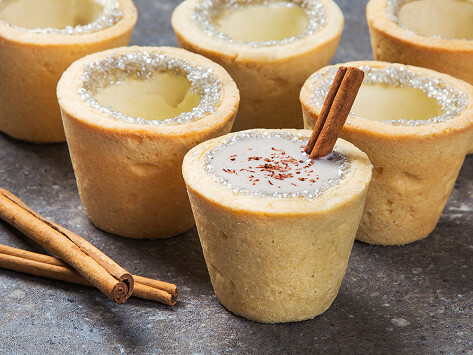 These Made in the USA (and made from scratch) cookie cups are a double winner. It’s a delicious dessert that holds even more dessert, in one pint-sized bite. Fill a cup up with pudding, ice cream, or espresso—or any flavors you’re craving—and enjoy your own custom cookie combination. Dimensions: Each: 2" diameter x 2.5"
These were a big hit at my son’s birthday gathering. Attractive packaging ,versatile usage ,and delicious ! Back in the 7th grade, ChocAmo Founder Michelle Silberman and her best friend had the idea to combine milk and cookies in one treat—cookie cups. Flash forward to today, and Michelle’s chocolate chip childhood dream is a tasty reality thanks to her college entrepreneurship course. Fill a cup up to take it to the next level of deliciousness—think fillings like ice cream, pudding, espresso, or even a cocktail shot. 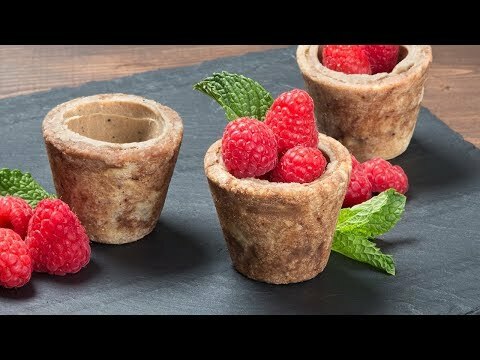 Cookie cups serve as an extra special dessert for special birthdays and parties, or are an easy way to make a custom treat anytime you feel like one.